Taking the assistance of cosmetic camouflage for hiding flaws and improving facial looks has always been a woman’s weapon, to beautify herself. From Cleopatra to Kim Kardashian to every common woman; each has used and still uses artificial means to glamorize her face, especially eyes. The right length and thickness of the eyeliner, the matching eye shadow and the perfect eye lashes- a balance between all of these is extremely important to make your eyes look dazzling and mesmerizing. In this blog we will talk about that one feature of the eye, which makes it look more charismatic- the eye lashes. Read on to discover how to buy lashes that are the most complimenting ones, as per the shape of your eyes. For round eyes, they already have an attractive width; all they need is to elongate the length of their eyes to accentuate their eye shape. Try using those Ardell lashes that come with long, sweeping ends to make your eyes look almond-shaped; giving them a more sensual look than they usually look. Avoid using thick eye lashes that might make your round eyes look smaller and over exaggerated. You can order the Demi black, Beautiful, Lash Accents or the 125 Black Ardell lashes online, to best compliment your round eyes. Over-application of either makeup or lashes, make your already small eye look even smaller. Therefore, it is important to add little yet effective touch-up to make them appear wider and opened up. It is usually recommended adding individual eye lashes to the corners of the eyes and curl them up using an eyelash curler. This causes an illusion of longer, almond-shaped eyes. For small eyes, buy lashes that are lighter and less dense. 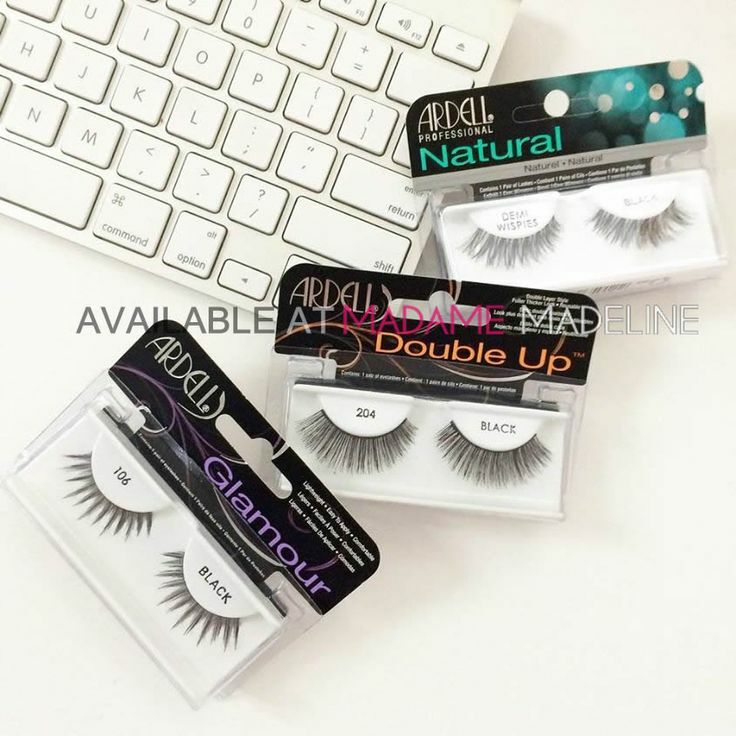 Ardell lashes online store has got a range of designs for such eyes- 128 Black, Babies Black, Lash Accent # 315, etc. If your eyes are the most prominent feature of your face, then to make them look even more attractive and alluring, you can apply thicker dense-centered and fully dramatic eye lashes. This will make your elongated eyes appear a bit rounder- driving them towards perfection. Furthermore, those with long eyes can also play with their lower eyelashes. Add individual lashes to the outer lower corner of the eye to widen their appearance and beautify the entire look of the face. 113 Black, Wispies Black, 103 Black, etc, are some of the most preferred Ardell false lashes to add more volume to your eyelids and make your eyes more captivating. You can buy lashes complementing the shape of your eyes from Ardell lashes online store, where you will also find unique jazzed up and glittering designs like 134 Black and 120 Demi Brown, to experiment with the appearance of your eyes and the overall look of your face. Hi there – i don’t actuallly any lashes due to alopecia – can you recommend any that I could use? I don’t have any for false ones to rest on.